Your local grocery market has a lot to do with what happens in your local housing market, according to a new analysis by Zillow. 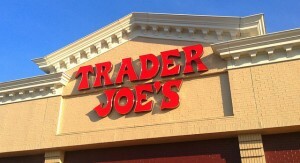 Specifically, Zillow found that homes grow more rapidly in value if they are closer to a Trader Joe’s or Whole Foods. Between 1997 and 2014, homes near the two grocery chains were consistently worth more than the median U.S. home. By the end of 2014, homes within a mile of either store were worth more than twice as much as the median home in the rest of the country. The first book by Humphries and Zillow Group CEO Spencer Rascoff became a New York Times best seller after its hardcover release in January 2015. The book – out this week in paperback with a bonus chapter about the grocery store phenomenon – draws on Zillow’s 10-year history collecting and analyzing real estate data, busting common myths and turning conventional wisdom on its head. Zillow analyzed the values of millions of homes near dozens of Trader Joe’s and Whole Foods to conclude that grocery stores and home values are definitely related. According to the Zillow analysisii, the median home within a mile of a future Whole Foods store appreciates more slowly than other homes in the same city before the store opens. In the months before the stores open, the trend reverses and flips, so that after the stores’ opening dates, homes near Whole Foods appreciate more quickly than other area homes. Homes near future Trader Joe’s locations were appreciating at close to the same rate as other homes in the same city before the stores opened. After the opening date, however, Zillow found a clear boost in home appreciation rates. Two years after a Trader Joe’s opened, the median home within a mile of the store had appreciated 10 percentage points more than homes in the city as a whole over the previous year. The analysis clearly shows that homes near the stores appreciate more quickly than homes in the city as a whole. That means the two brands are very good at choosing locations that will appreciate faster in the future, or are actually spurring home appreciation growth – or some combination of the two.